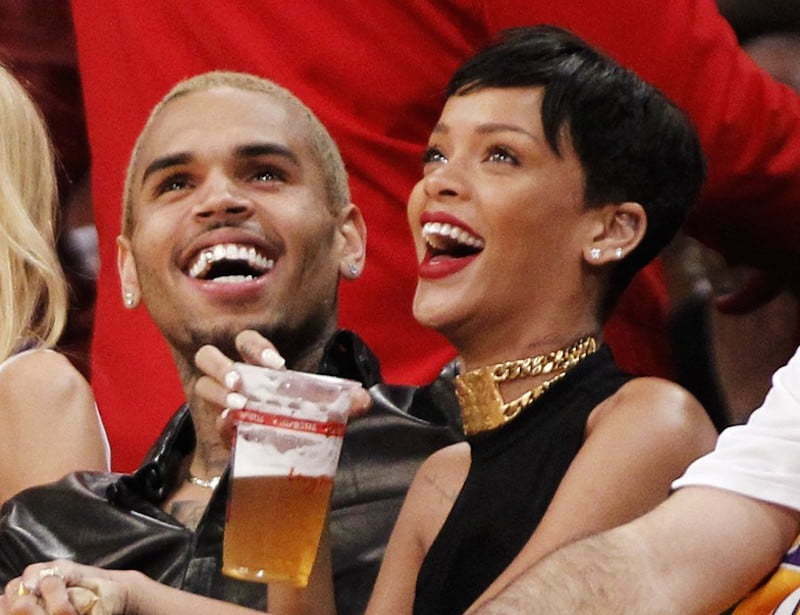 Chris Brown friends has no love for Karrueche Tran because they clearly want him ti get back together with Rihanna. Brown and RiRi split back in 2013 and recently rekindled their friendship. The two have maintained that their just friends but there have been rumors for weeks now claiming that they have been secretly back together, but our sources told us that those rumors are false. A highly placed source close to the Bajan pop star is telling us that Brown’s friends have been hitting her up begging her to get back together with him. “His friends are trying to make the case for him and it’s not like RiRi don’t love him anymore, she still does, but she is much more mature and focus now and will not settle for anything that is not serious and fully committed,” sources close to the “BBHMM” singer said. Our insider also told us that Chris Brown friends are saying that Rihanna is the girl for him and that he never truly love Karrueche Tran the same way that he loves her. Rihanna got caught up some recent drama with basketball player Matt Barnes who claimed that they have been hooking up. The pop mega star put the former Lakers star on blast on IG last week saying that he is lying. But Barnes insisted that they did hook up. Riri and CB too much damage to try to repair. Don’t think it would ever work. They are both SERIAL DATERS. This is a good publicity stunt. CB needs to work on fixing CB unresolved issues. Riri needs her head checked, if she is even thinking about returning to the arms of someone that hurt her physically and mentally. Aren’t these the same friends that was calling her all kind of dirty names when he was with KT? I think they should take their time to get to be with other people before hurrying back together in a relationship. Riri need to make sure she is clear of what she will settle for before getting into anything with Chris. Try a serious relationship with someone else the way Chris had and see.. I like them both but I believe their trust and friendship need to get stronger first. Riri you don’t need to be double dating with that tyga and Kyle. You have more than class than that hoe bag. Breezy shouldn’t want that either. Not even sure if breezy and riri are dating or will ever get serious again.